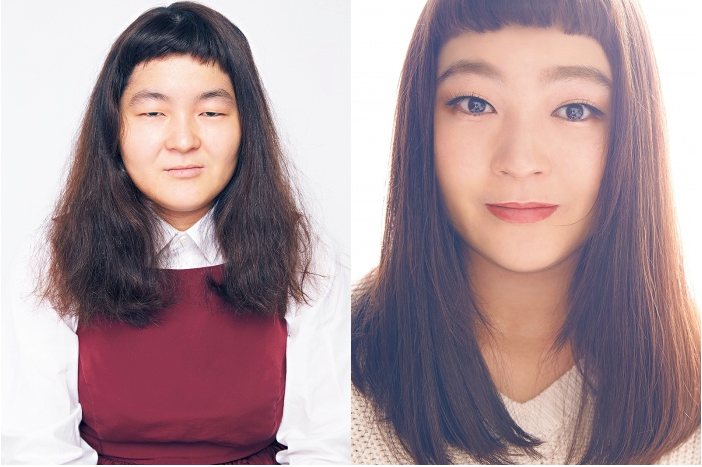 CanCam has featured a set of makeovers causing tons of buzz in the Japanese makeup/beauty scene. CanCam is a monthly fashion magazine that originally got it’s start in 1981, and has since become one of the leaders in it’s industry, constantly maintaining it’s popularity throughout the years. In the upcoming March 2018 issue the magazine did a profile on average teenagers who have been able to completely transform their look using makeup. A comedian who goes by the name of “univershara” (photo in the header) was also profiled, and commented that she almost wanted to cry when seeing herself once she began improve with her techniques and take photos for SNS. “It’s a fraud! !” she joked. Her very thin eyes and lips were targeted the most with the transformation. She was surprised with how easy it was once she had gotten used to the techniques, with it not taking that much time at all “Anyone can do it“. Hara went on to comment about how the more she got into makeup, the more it actually helped her self-esteem and embrace her prominent facial traits. “I randomly noticed one day that I’m actually starting to find my faults kinda cute”. She went on to say that some people might not like the dramatic changes done with makeup, but as her skill improved and she overall became more confident especially in-regards to her complexes. Hara really enjoys the actual process of putting everything on, cheers on the readers in finding their own style. The March 2018 episode of CanCam can be purchased now.